Ah yes, the mouse. These devices are so essential to us now that it’s hard to imagine life without them. 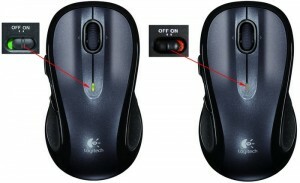 One of the most basic forms of human-computer interface, computer mice are what stand between us and our computers being nearly impossible to use. 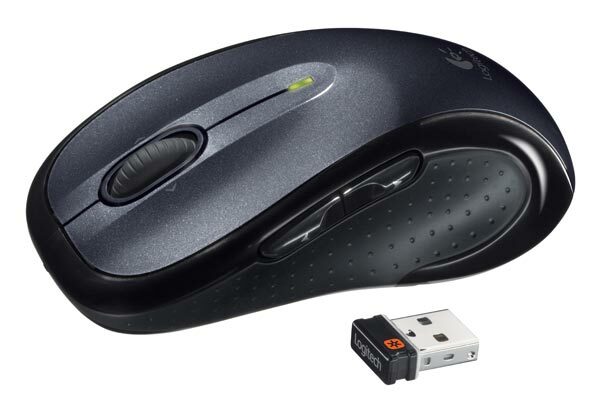 You need a good one, and for the last few months the Logitech M510 has been my weapon of choice. Ladies and Gentlemen, the Logitech M510. It's definitely not lacking in style. Right away, I liked the look. Sleek, compact, ergonomic, and a cool, stylish black. It feels as great in my hand as it looks, too. The rubber grooves on either side fit the fingers well, and they fall naturally on the main buttons on top. The buttons click nicely, of course, taking very little effort but never going off automatically. The scroll wheel glides soundlessly, which is a plus for me as my last mouse had a rather loud, clacking one. Every feature a mouse needs to have, it has, and performs quite well. Basic functions aside, there’s a neat collection of gizmos to note as well. My last mouse had back and forward buttons placed in the right side, where a right-handed person’s thumb would go. These are one of those little additions to recent models of mouse that I’m pretty sure I couldn’t live without, and these ones work just fine. They are stiffer than any of the other buttons, but that’s probably to keep us from accidentally clicking them. Actually, it’s an achievement that I can count the number of times I’ve done that on one hand. Despite all its advantages, the Logitech M510 falls flat on one somewhat glaring area. Packaging claims that it will work on almost any surface. This is… sort of true. But in reality, the M510 needs a mouse pad, and if it doesn’t have one, it becomes a horrible thing to use. It will indeed move the cursor, but it’ll hitch on any little imperfection of the surface it’s on, and generally be extremely frustrating. Most people have a mouse pad, I’m sure, but I myself had to obtain one specifically for this mouse, despite my older laser mouse working just fine on my wooden desk. Aside from the fib regarding universal surface detection, you could do a lot worse than the Logitech M510. The price tag, $40 in stores, might be a bit much, but you will definitely save on batteries, and if you buy it online you can easily get it for cheaper. Taking a glance for better prices wouldn’t hurt, but know that if you end up with the Logitech M510 on a nice pad, you’ll be all set for your mousing needs, and that’s worth a lot.